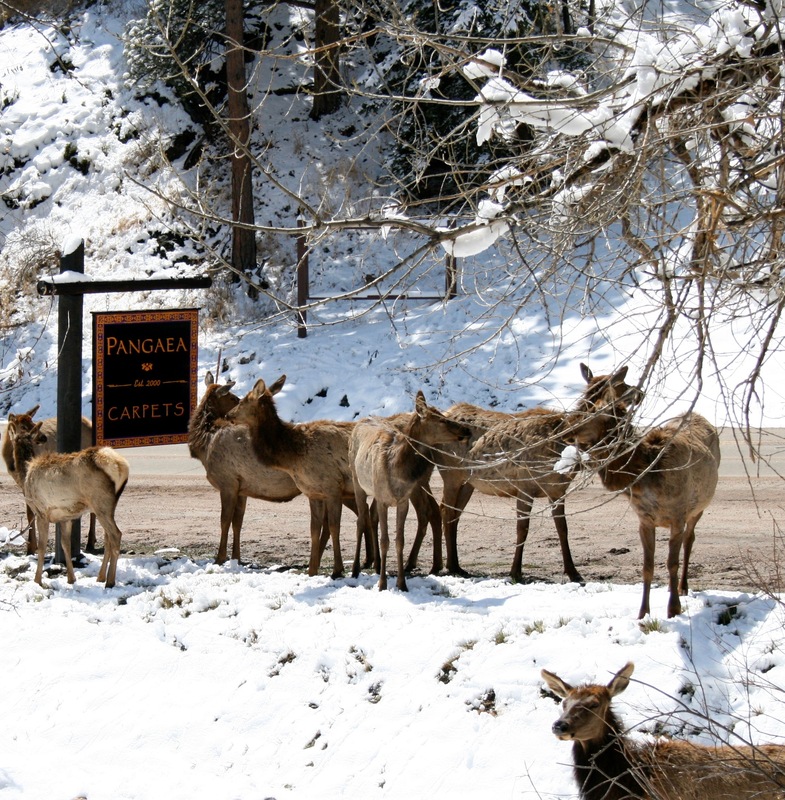 Pangaea Carpets has called Evergreen, Colorado home since opening in a 400 sq. ft. adobe building in 2001. After a brief expansion to Bergen Park we are now permanently located in the Historic 8000 square foot Evergreen Design Center on Meadow Drive in Downtown Evergreen. As the only hand-knotted rug dealer in the area, Pangaea Carpets has furnished beautiful oriental rugs and carpets to the homes in and around Evergreen including Upper Bear Creek, Hiwan, Kerr Gulch, Troutdale, Tanoa and Soda Creek. We also serve our next-door neighbors in the Golden foothills neighborhoods of Mount Vernon, Spring Ranch, Witter Gulch, Lookout Mountain, Riva Chase and Genesee. To the South, we are a quick 20 minute drive from the suburbs of Conifer, Pine and Bailey. As we continue to expand we would like to acknowledge our “local” neighbors in these foothill communities for giving us our start and our home.